Hi friends! 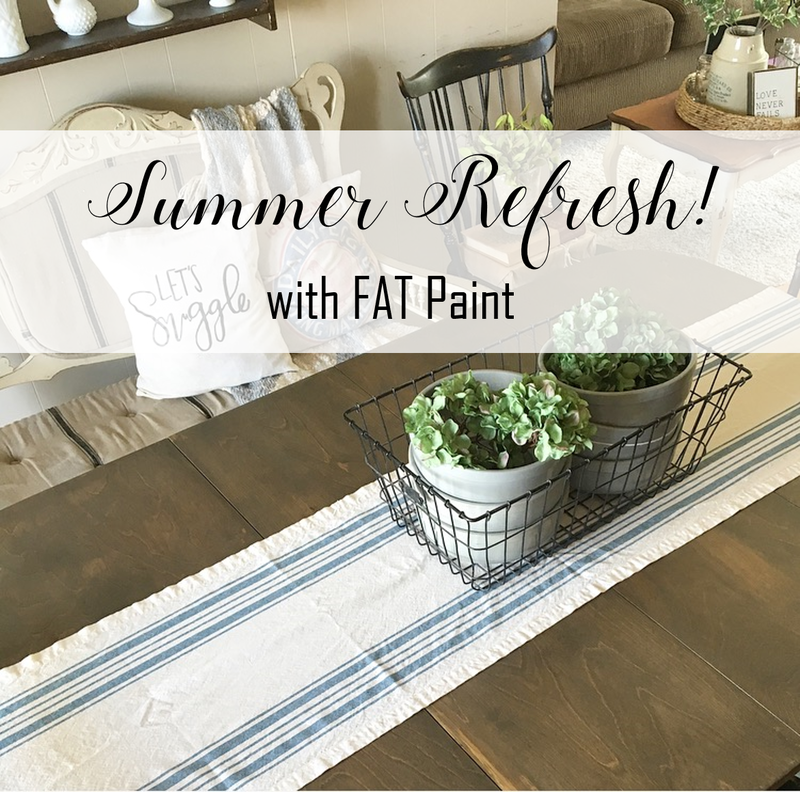 I've teamed up with some amazing bloggers to bring you "Summer Refresh"! Summer can be loads of fun but it can also be VERY hot, therefore keeping some of us stuck indoors in the AC! We decided to bring you some ideas to give your home or space a little summer refresh! At the end of this post be sure to check out all my fellow bloggers posts for some more inspiration! 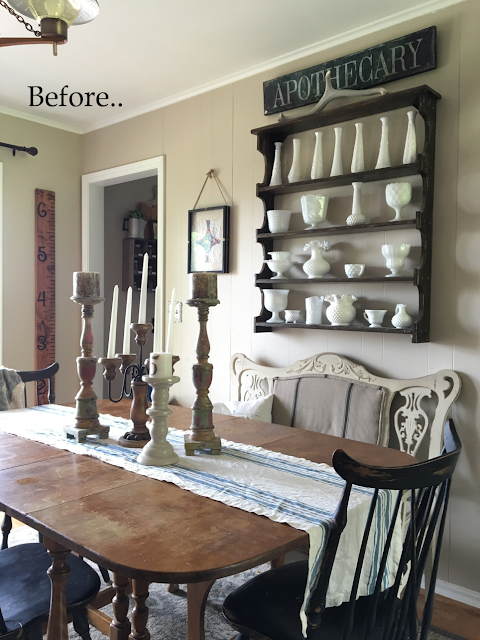 Also use the hashtag #summerhomerefresh on Instagram so we can see your refreshed spaces! 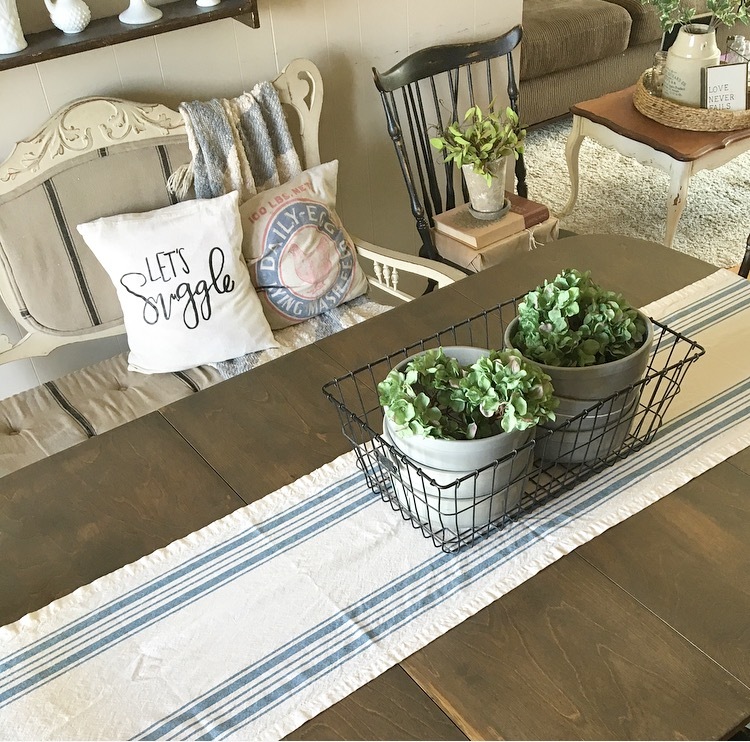 For my refresh I decided to give my dining table a much needed makeover! I had the pleasure of using FAT Paint products to paint the bottom of my table and I love the results! Here is what my dining table looked like before.. The stain was pealing off the top and it was an ugly orange color. I started by completely stripping the top by sanding. Here is the table after the top and sides were sanded. 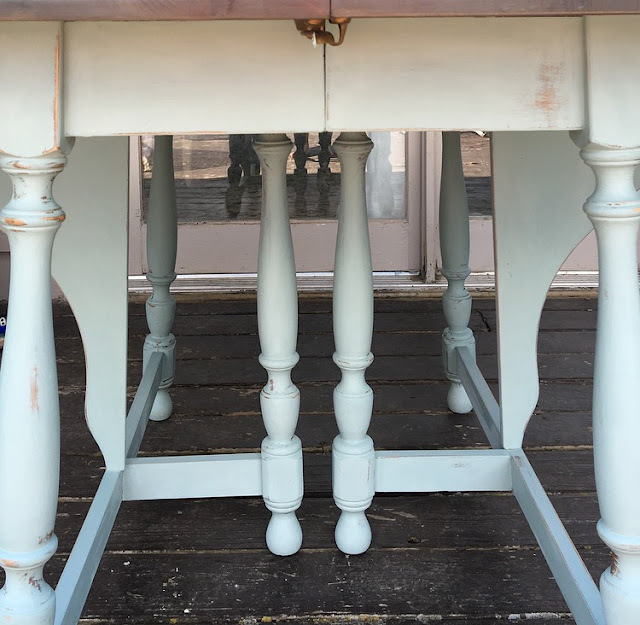 I didn't completely strip the stain off the bottom part because I used chalk paint to paint the legs. I used a mixture of tow Minwax stains to achieve the look and color I wanted. First I put a coat of the "Classic Gray" by Minwax by using a rag and applying it with the wood grain. Once that layer was dry it was a pretty gray but it wasn't the look I wanted for my dining room. I waited for that layer to dry then put a layer of "Jacobean" from Minwax on top. I then applied 3 coats of Poly waiting two hours between each coat and sanding in between coats. I love the end result! 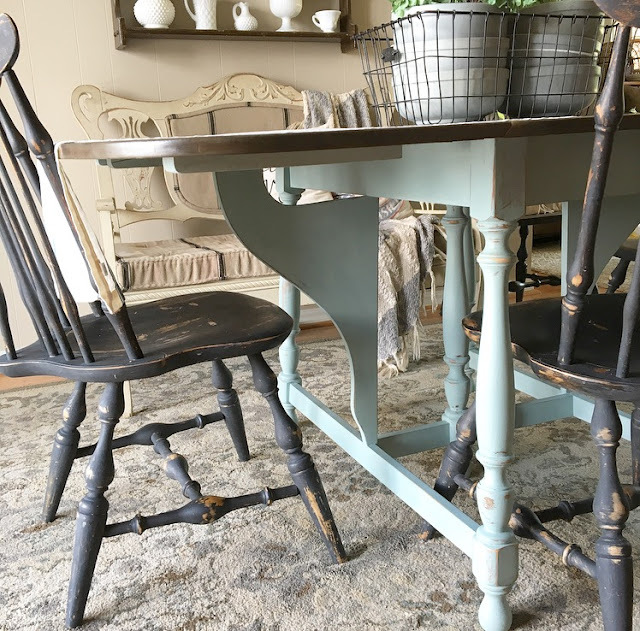 Their were a few spots with severe water damage that came through the stain but I wanted a rustic look so I wasn't too worried about imperfections. I painted the bottom with FAT Paint color "Mountain Haze". Then went over it with FAT wax. 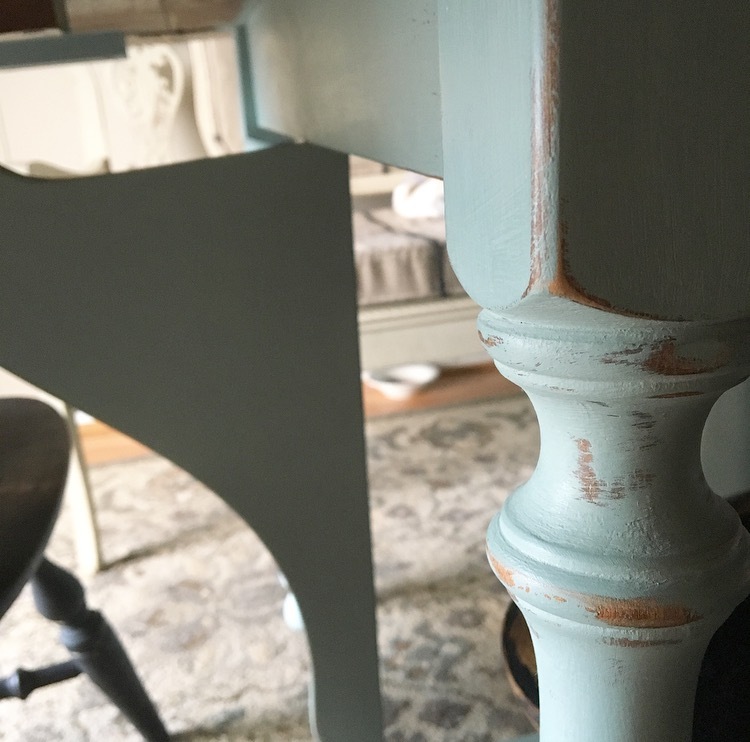 FAT Paint is a chalk style paint so I didn't have to do much prep work before painting making it super easy! I love anything chippy so I sanded in places that would have wear. I LOVE the color! I think it brightens up my whole dining space and I couldn't be happier! I wanted to freshen up my table decor as well so I shopped my house for a new vignette! 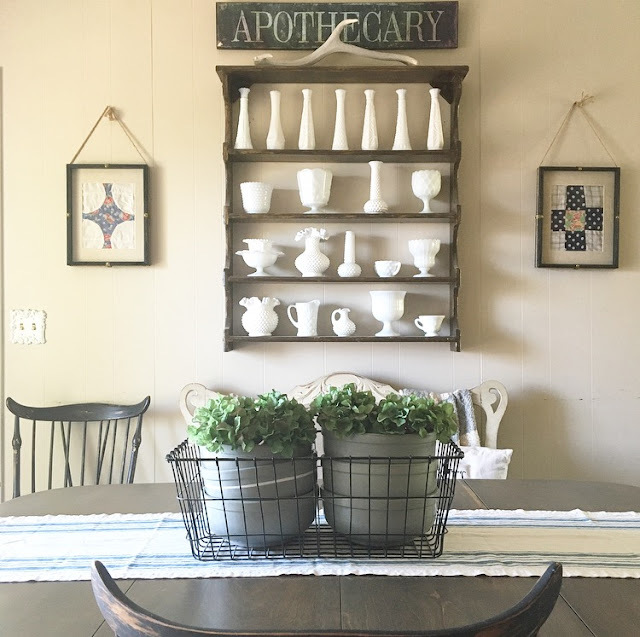 I had this wire basket I found at a garage sale and took these grey pots that I found at the flea market for $1 each and added some greenery for a simple yet refreshing summer look! I hope you've enjoyed reading about my dining table makeover and summer refresh! Be sure to check out my fellow bloggers posts below by clicking on the links! Also, link up your summer refresh post with all of us by using the Inlinkz icon at the bottom so we can check out your posts as well! Ah!! I love it D! The legs in a different color look SO GOOD! Great job, friend! Daraka, you did an amazing job on your table! It brightened your room up! I had never heard of fat paint before, I will check it out! It was fun to do another blog hop with you, my friend! You ladies are killing it with the beautiful table makeovers! I love love that blue that you used! 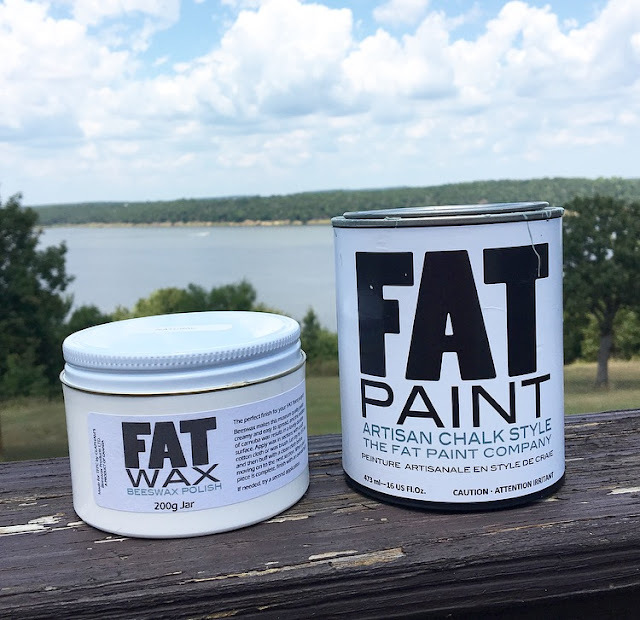 I've never heard of fat paint before though. 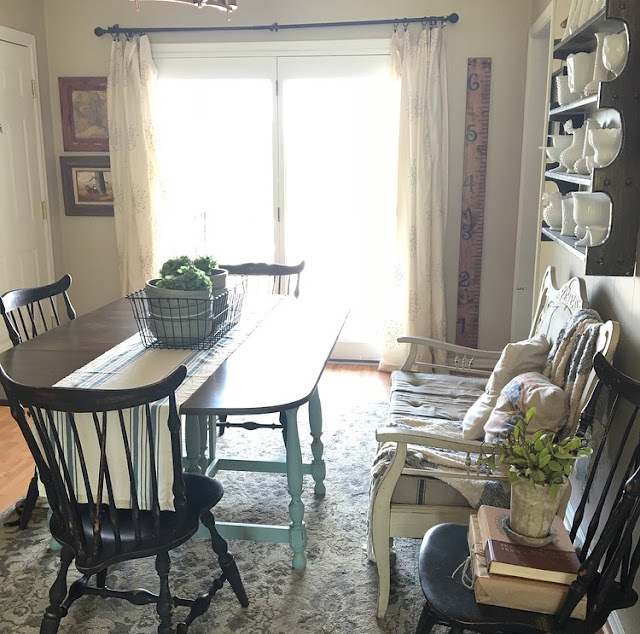 Beautiful space and love your milk glass collection! P.S. I love the way you added everyone's logo, that was a wonderful way to link up! Wow!! I love how it turned out!!! I am in love with that bench too. It's my favorite. Loved doing this with you!!!! Daraka, what a beautiful job you did with the painting. The table looks amazing and perfect in your room. I was also drooling over your beautiful shelf with all of your white vase collection!